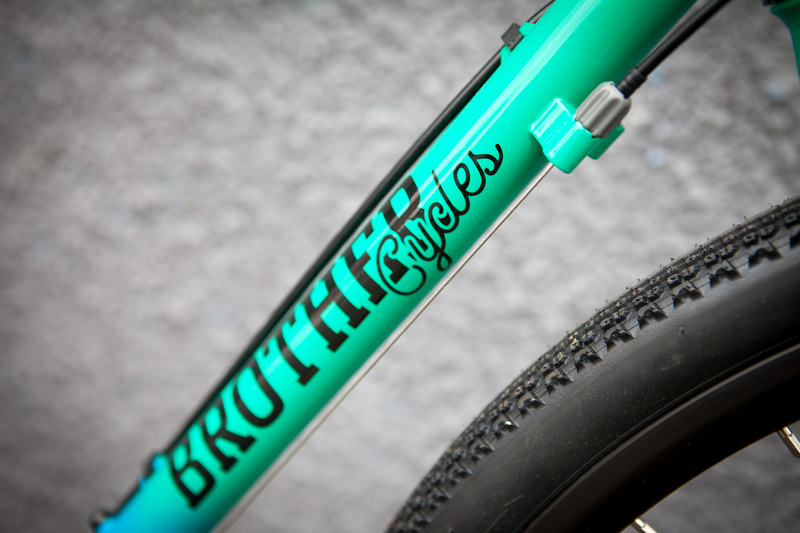 Always suckers for a good paint job, the first thing that struck us when we opened up the Brother Cycles branded bike box was the luscious green shining out… wait, no, its blue. Hang on… it’s both. Taking cues from the best of the 90’s brands like Klein and Fat Chance, we love that fade. A sweet paint job does not maketh a bike though. Before we get the Kepler too dirty, lets have a quick run through the full spec. Brother is one of those companies that we’ve been aware of for years – spotting the odd frame scooting along the streets. 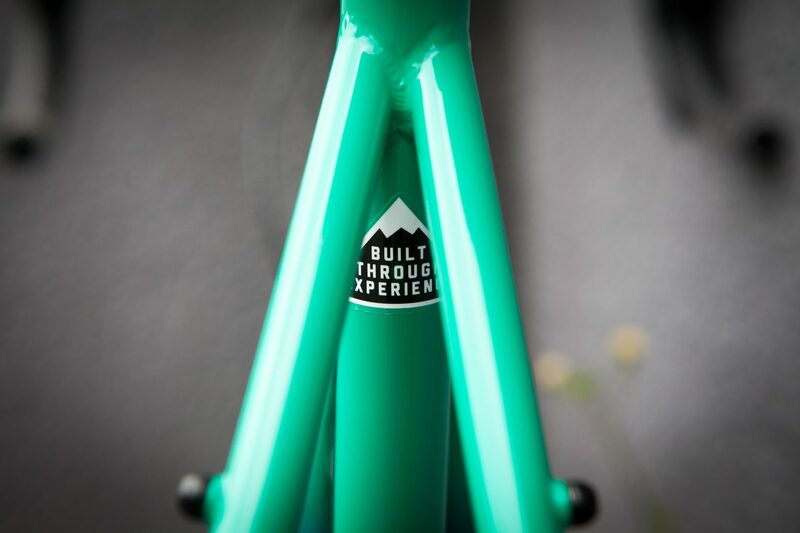 Based in London, Will and James, the founding, eponymous Brothers started out building and restoring custom vintage bikes. There was a natural progression, to their decision to move into releasing their own range of track and road frames. As times have moved on, Brother’s range has grown and incorporated an “adventure” mountain bike as well as the Kepler (keeping canti brakes alive) and Kepler disc. Brother’s bikes are still designed in London, but no longer made in house. 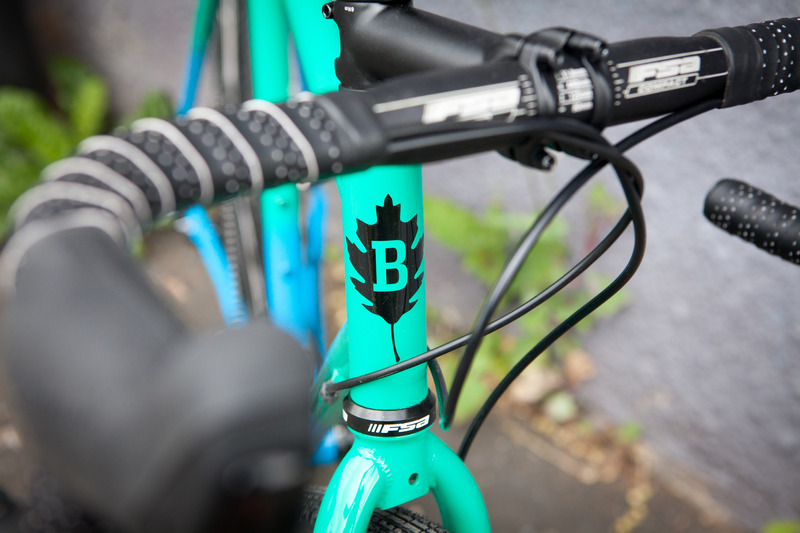 While Will and James have focussed on framesets, they also have two full builds available. The Big Bro mountain bike, and our Kepler Disc Complete. Brother Cycles has been operating for a few years now. At the heart of the bike is a a 4130 chromoly steel frame and forks. 4130 maybe lacks some of the sexiness of the branded tubing that Reynolds or Columbus brings, but it’s been a mainstay of building good value bikes for decades. 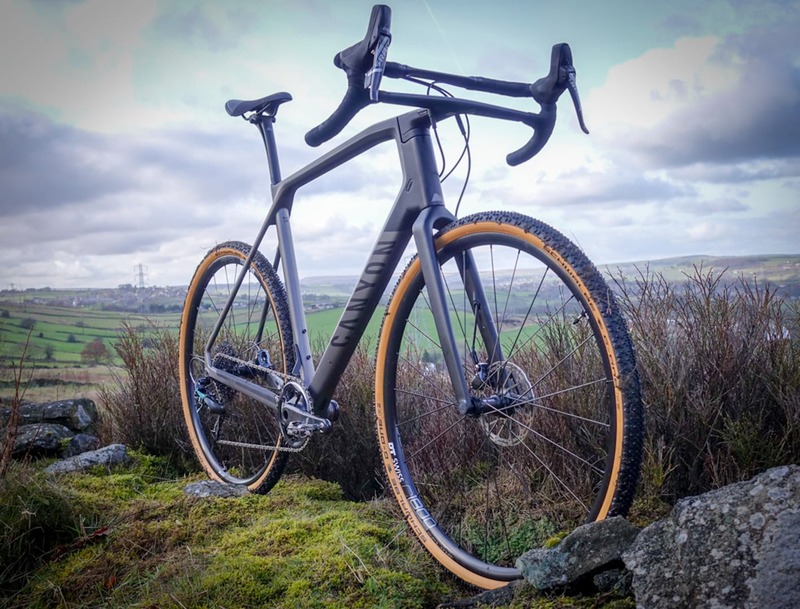 It will never build the lightest frame – Brother claims that a 54cm frame weighs 2.1kg and the fork comes in at 1.1kg. Weight isn’t everything though, especially on a bike that is “designed to take on whatever challenge is thrown at it”. 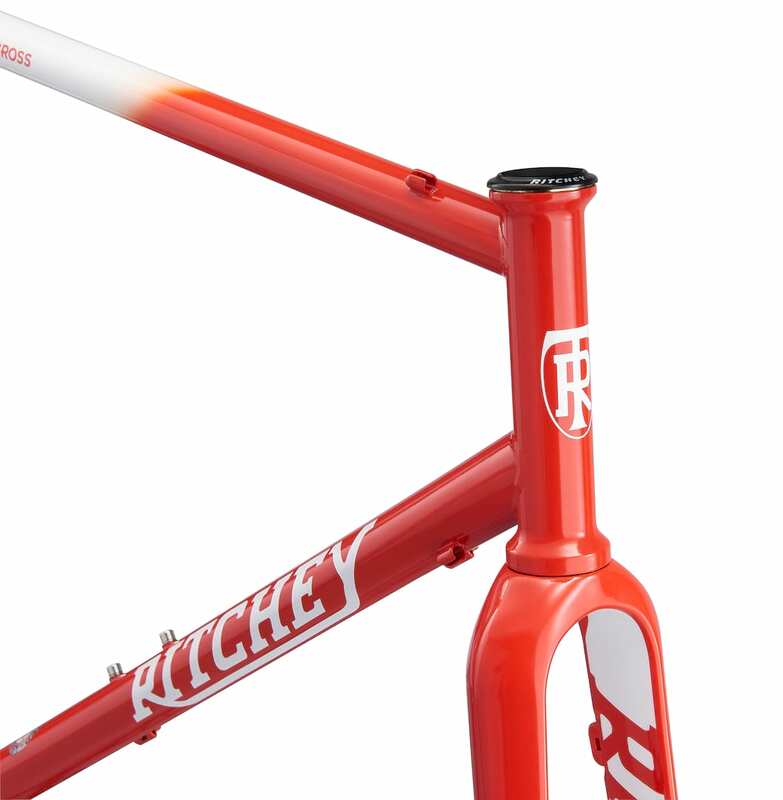 The Kepler frame uses 4130 chromoly steel. External routing keeps things simple. 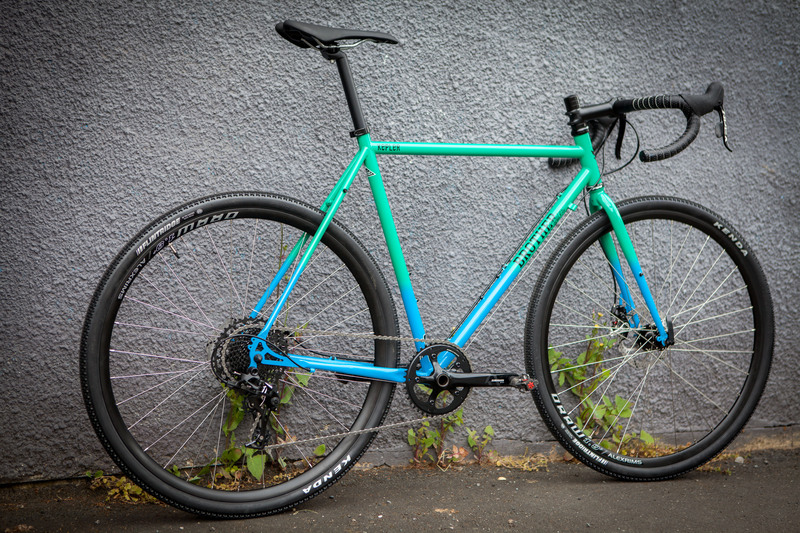 The Kepler Disc frameset eschews a lot of the more recent “standards”: it still uses 1 1/8th straight steerer, quick release axles, threaded bottom bracket shell and IS disc brake mounts. It’s a sign of how quickly this corner of the bike world has moved on that what was considered normal even a few years ago is now an outlier. 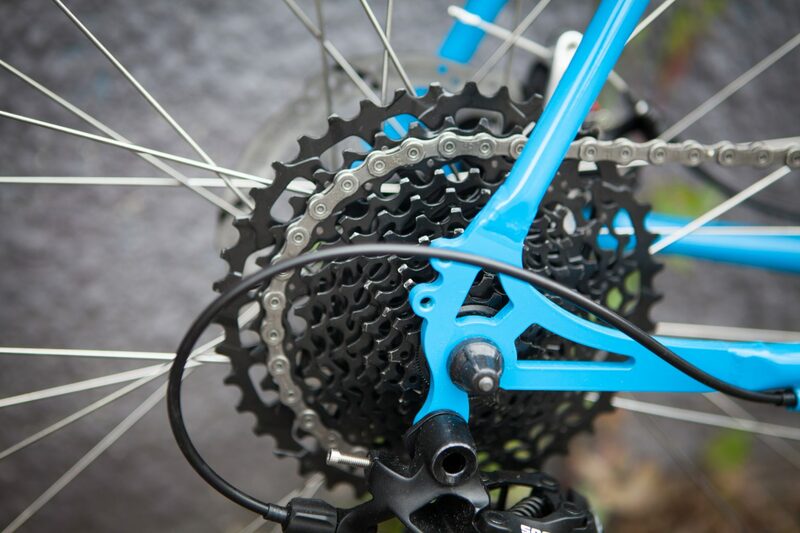 There are some good reasons for keeping things traditional – how many of us have wheels or components sitting in the cellar or shed that no longer fit a new bike? And if/when a bottom bracket fails, virtually every bike shop in the land will have something in stock that can plug straight in. 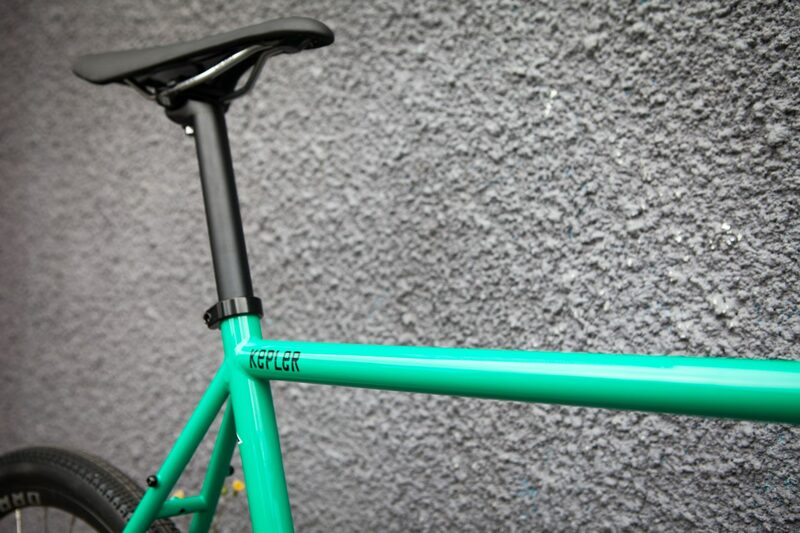 If you want to buy the frameset separately, it is available for £499. 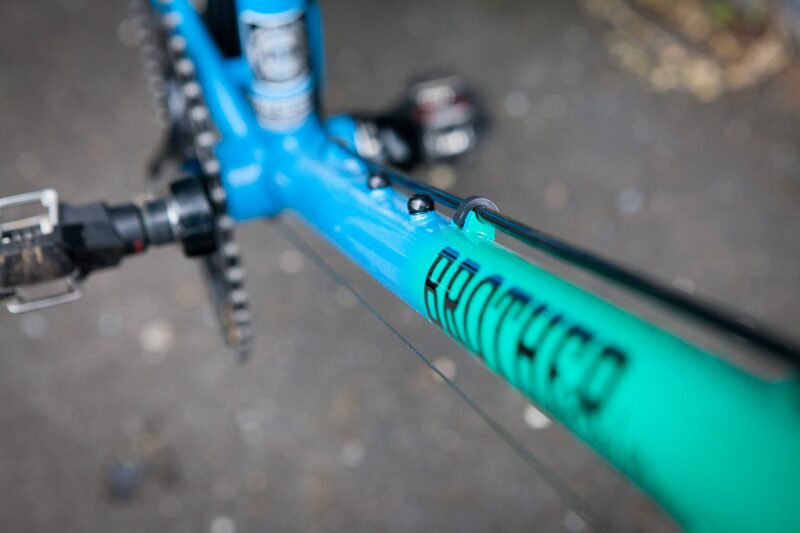 A straight steerer carbon fork is also available from Brother for £149 and shaves 350g or so from the stock steel one. If you are absolutely crazy and don’t like the rad fade, a black frameset is also available. 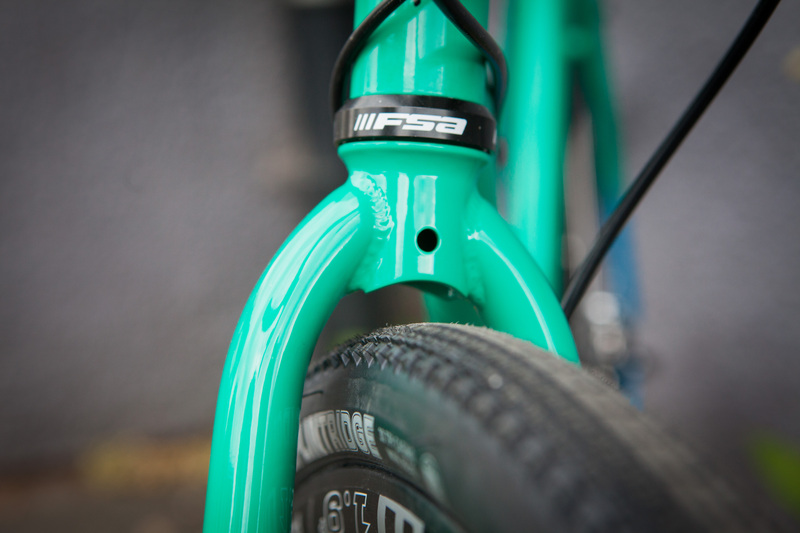 The steel fork has clearance for up to 42c tyres, although we think that might be a bit of a squeeze. If you don’t have a cellar full of spare parts, Brother’s full bike option is designed to be a functional, good value build. 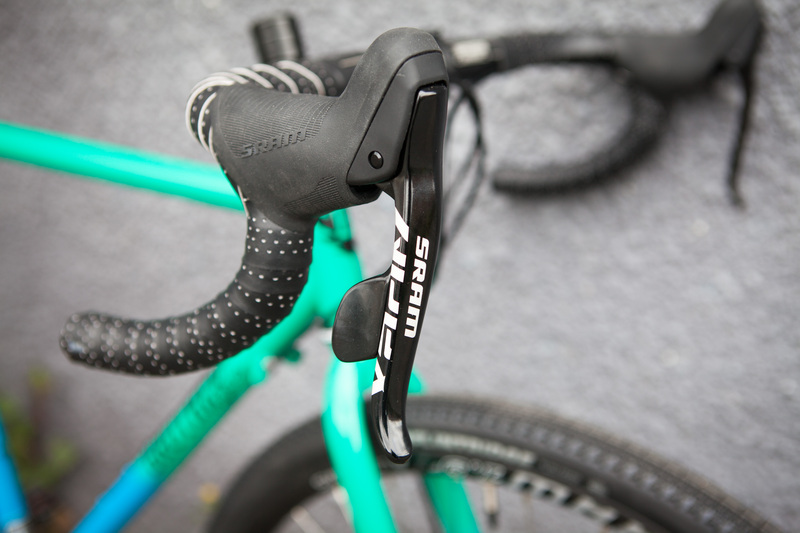 It uses SRAM’s Apex groupset at the heart – 1×11 gearing and a wide range 11-42t cassette. 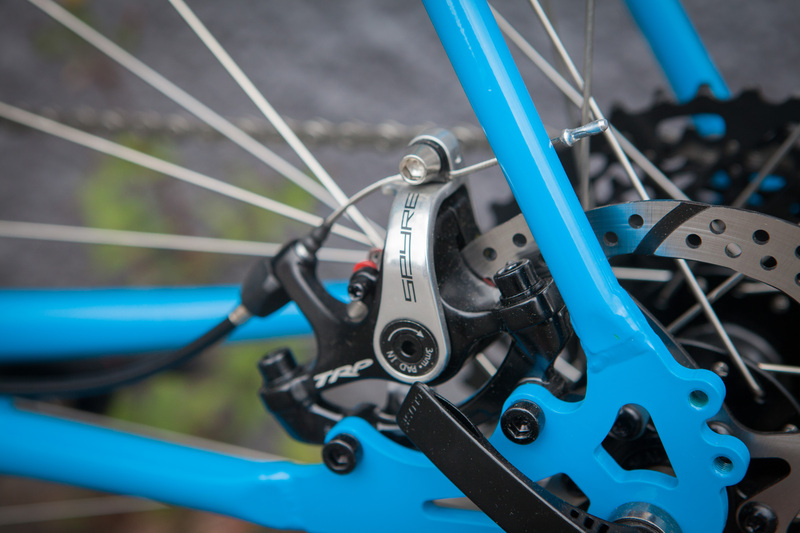 Brother has decided to step away from SRAM for the braking, using the well regarded TRP Spyre cable-disc calipers. While losing a bit in terms of outright performance compared to hydraulic brakes, we’ve been impressed with the Spyres in the past. The full bike has looks that punch above its modest price point. The wheels use Alex rims on Formula hubs. My first impression was that they aren’t the lightest, but as long as they prove to be robust, they will fit in with the “go anywhere” nature of the bike. 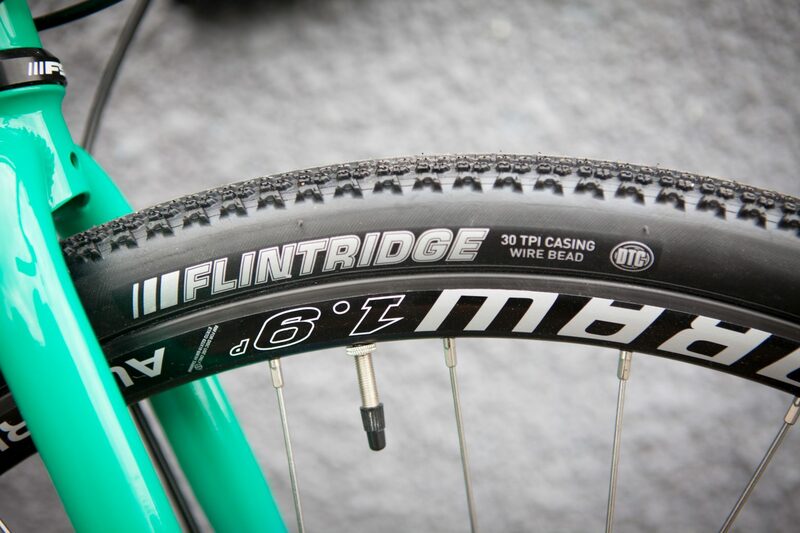 They came shod with 35c Kenda Flintridge tyres – not ones we’ve used before, but their profile looks perfect for our current dry and dusty trails. As mentioned above, the wheels are quick release, which is a rarity on our test bikes nowadays. It’s almost easy to forget that it isn’t long ago that nearly all our mountain bikes were QR too. Kenda Flintridge tyres aren’t known to us, but look perfect for current trail conditions. Finishing components are mostly no-name (sorry, “Promax”), stealth black and fit well against the bright paint job. Teamed up with a wide-range cassette. 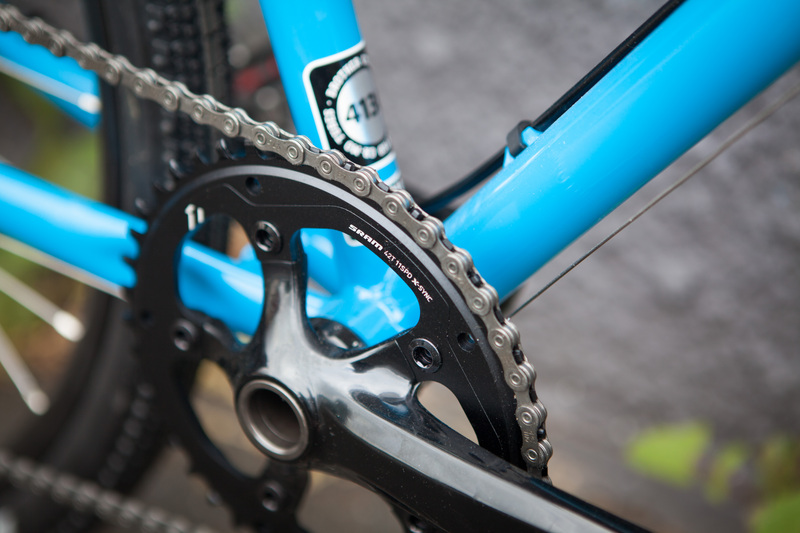 And a 42t chainring. There is routing to run a front mech should you wish to build up your own frame. The overall build comes in at a meaty 10.7kg, but it would be easy to start shaving weight should you wish to. During testing we might have a play, swapping wheelsets over, but for the most part, we are sure that many riders will happily thrash the stock build without a thought to upgrades. TRP Spyre cable-operated calipers provide stopping duties.